Today’s most successful and innovative companies know that good product ideas don’t just suddenly appear. In order to pinpoint that “good” idea, you must explore many different ideas and compare them all. Hence, every company should encourage their team members to think outside the box and come up with creative ideas. However, many will be stumped at how to do this, especially if they are not naturally creative. To many, “brainstorming” means sitting around a table, throwing out ideas, and hoping someone else will like that idea. Realizing that good ideas are the key to driving their business, organizations are always looking for ways to go beyond the traditional rountable brainstorming session and help their team think up creative ideas. Here are a few creative brainstorming techniques that anyone can use to come up with creative ideas. Substitute: Think about different parts of your product/process, and ask yourself what could you replace them with to make it better. Combine: Ask yourself if there are any components of the product or process you can combine to enhance it. Adapt: Are there any components or characteristics that simply need to be tweaked and changed a bit? Modify: Think about completely distorting all or part of the process, product or situation. Can you exaggerate a feature? It might open way to new markets. Put to other purposes: Could the product or process be used for another purpose? By other people? In a new market? Eliminate: Can any aspect of the product or process be eliminated, and still be successful? Rearrange: If you reversed your process / product use and did everything in a different order, what would be different? 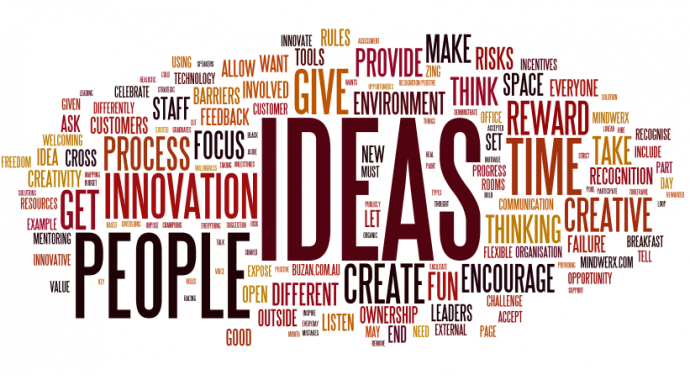 Extend your brainstorming session by holding them across the social web. Create a Twitter chat just for brainstorming purposes, or host periodic Skype or Google Hangouts brainstorming sessions. These will allow you to reach out to new people and gain fresh ideas, while allowing your team to collaborate with each other and stimulate their idea generating. Literally. Dedicate a wall in the office where anyone who gets an idea can write them on post-its and post them. Have post-its of different sizes available, from tinat to extra, extra large, and have them write ideas on the corresponding size. Color code them for extra creativity, and break down the large post-its into smaller ones. Invent a type of game that will make your team members work on their creativity and try their hand at coming up with new ideas. You can also bring out any well known games that encourages creativity and allows them to work on their creative thinking skills. Stand-up meetings are not only quicker, but they have been proven to help generate ideas. During roundtable meetings, people usually just listen to others and say what needs to be said. However, when people are standing up, they tend to be more awake, more stimulated, and tend to speak their minds more. Sometimes, people need an extra push to take their creativity to the next level. Some companies opt to organize an improv workshop to allow team members to go beyond their comfort zone and stretch their thinking. Improv games are always creative and always bring laughter and fun ideas to the table. They can even be used to open up some meetings.